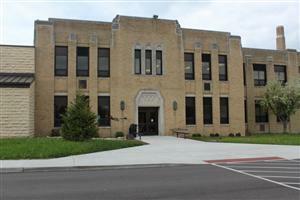 Main Elementary is located at 2942 Dayton-Xenia Road in Beavercreek, and serves students from Kindergarten through 5th grades. We are the Main Elementary Beavers. Our Principal is Sharma Nachlinger. Main's Office number is 937-429-7588. Office hours are 7:30 a.m. to 3:00 p.m.
School is in session from 7:45 a.m. to 2 p.m.
Walkers may arrive at school no earlier than 7:25 a.m. Lunch is $2.65 and includes milk. A la carte milk is 55 cents. Our school is supported by a fantastic Parent Teacher Organization. If you would like to be involved, please visit our PTO site by selecting "PTO" from the gray navigation ribbon just under the school name, near the top of the page. Work cooperatively with parents to prepare students for learning and the development of citizenship.